With a limited capacity of 19 guests, Bananas Bungalows is the ideal place to relax with a book on the shady bungalow porch, laze in a hammock or deck chair on the pier, or be treated to superb Thai cuisine including fresh seafood, delicious curries and refreshing fruit shakes all lovingly prepared in our restaurant by Bananas Bungalows wonderful local chef Tscha Dam. We look forward to welcoming you to your home away from home at Bananas Bungalows resort - the gathering place of spectacular sunsets! 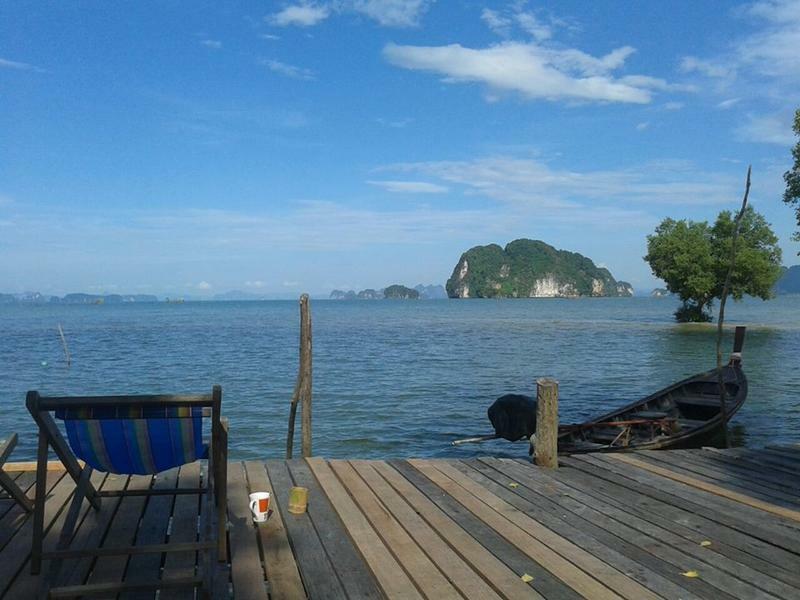 30 km northwest from krabi town in ao tha lane or khao thong. famous for kayaking. from krabi you can take the local bus in front off the seven eleven in maharad road. there are also taxis, if you get a problem to get to us, just give us a call. from the airport the best way i a taxi, if you want us to send you one ( cheaper ) give us a call. from phuket you can come by boat through kho yao noi and then tha lane pier, or bus, our taxi from town takes 600 baht at the moment, and from the airport 750. the local (song thaew) bus is 60 baht, but does stop running from maharad road after 11.30, and leafes then from the junktion in talat khao, next to the juwelery shop in phang nga road in a bright pink house, and the gasoline station until 16.00. this busstop is just maybe 200 meter outside of krabi busstation.